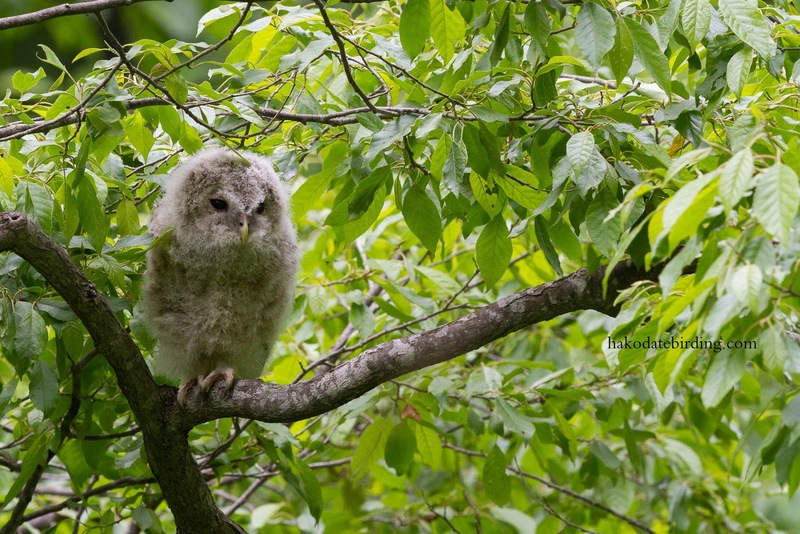 A baby Ural Owl this afternoon. After watching England play OK but lose to Italy I had to get out of the house, even if that meant standing around in a mosquito infested forest. I was looking for Ruddy Kingfisher and heard them callong several times but never saw them. Lots of birds in the forest: Little Cuckoo, Black Woodpecker and Siberian Blue Robin being the most interesting. I covered myself in repellent, strapped an anti-mozzie device to my wrist and seem to have escaped unbitten. 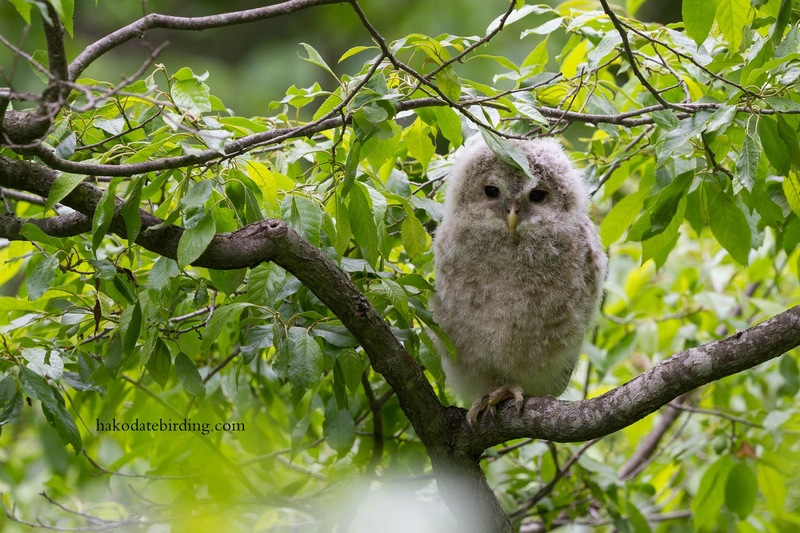 This baby Ural Owl was ample compensation for the lack of visible Ruddy Kingfishers. I'll go back for the kingfishers tomorrow. 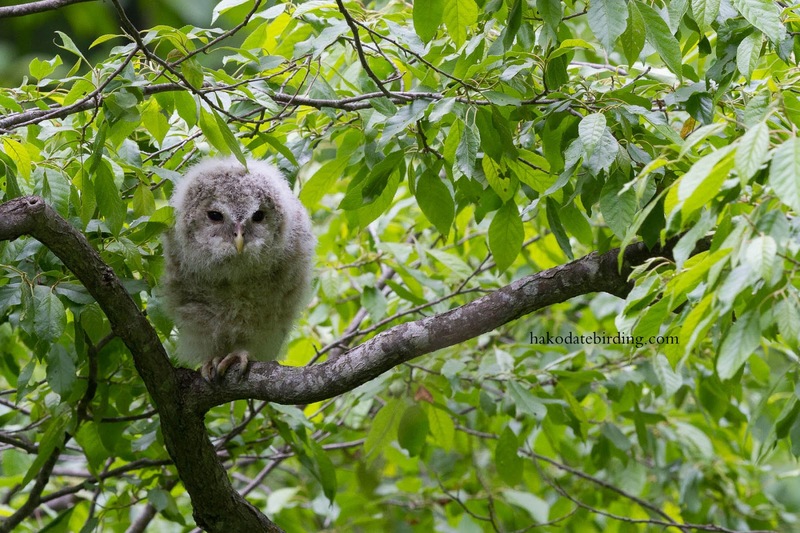 wonderful baby Ural owl photos. Great find. After that Spain match, I'm applying for Dutch citizenship! I feel your pain though - after that display even I wanted England to equalise. Thanks Stuart, that must be tough for a Scotsman to say! Very cute. Worth the mozzies.